History: Cody was one of a 9-pup litter. All of the litter were labeled “fawn” (including littermate Shyster) except Cody, who is a red fawn. 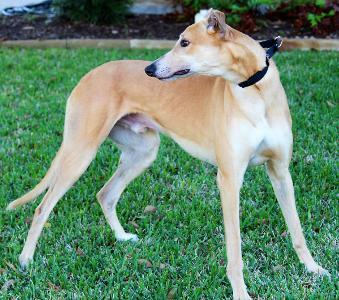 All of Cody’s litter raced, but he was the best racer of all of them. Cody ran “in the money” in more than half of his races. 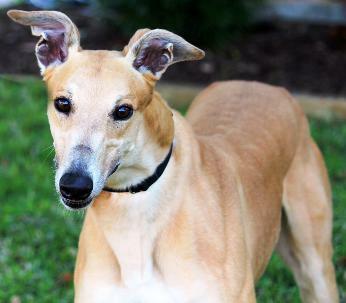 According to Greyhound-Data he ran 176 races (Derby Lane) from June, 2010 until the end of 2012. He ran two stakes races in 2013. Apparently Cody’s exceptional race history made him a prime candidate to be a stud. 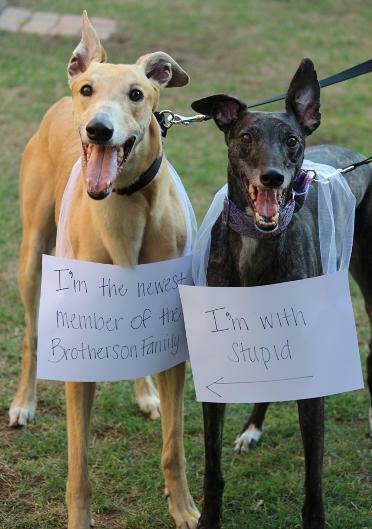 However, no offspring are recorded by Greyhound-Data. 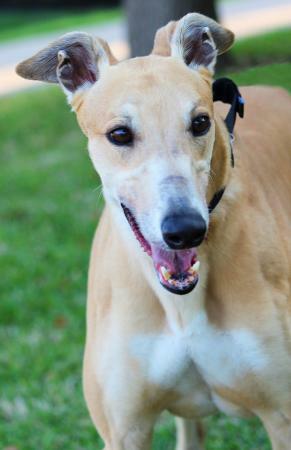 Cody’s running time is past and he is now ready to walk to his forever couch. Chief, with his sister Trudy (TAGS alumni Baby). Trudy be nice to your new brother! 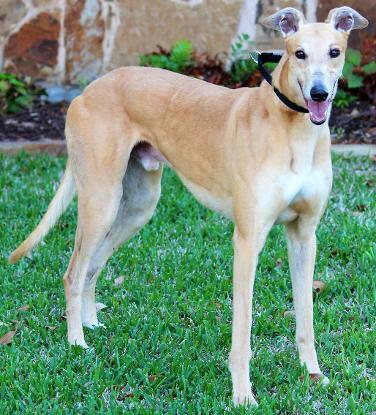 April 24, 2014 update: Cody, now Chief, had a GREYT first night in his foster home, so GREYT they decided he was home. Congrats to Chief and his new family. April 20, 2014 update: Cody’s first night in a home was uneventful. He arrived late in the evening and was very nervous. He’s getting used to the activities and schedule of the humans and other dogs. He’s a very affectionate and sweet boy. You can be assured he will be next to you wagging his tail in a circle or rubbing his face against you to get attention. At this time, Cody seems to be cat trainable and doesn’t mind the small dogs jumping around him. 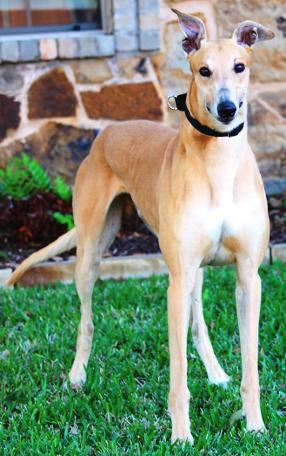 Cody is a bigger greyhound. He is quite a bit bigger than the other three greyhounds in the house. He still has a bit of kennel coat, but he’s going to be a striking red color when that blows out. His white chest and white feet certainly give him character.